This book analyses European foreign policy as the activity of the European Union (EU) as a Global Actor and explores its efforts to raise its visibility in Southeast Asia through its relations with the Association of Southeast Asian Nations (ASEAN) and Myanmar. Contributors examine the EU’s engagement in a process of dynamic consolidation of its relationship with Asia and the Pacific region. They shed light on how interregional relations with ASEAN and interactions with Myanmar can be viewed as a perfect opportunity to promote the EU’s presence in the region. 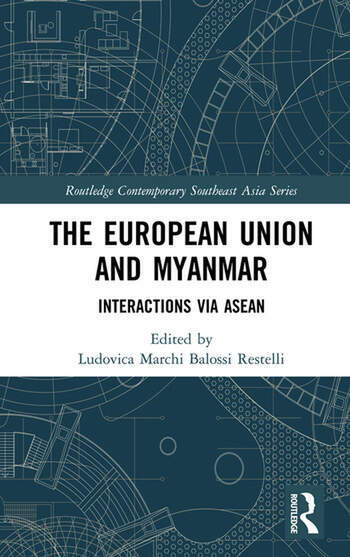 Chapters examine the EU’s efforts to inspire Myanmar to connect with security cooperation and Myanmar’s engagement with the EU to diversify its foreign relations with China. The book also explores the extent to which the EU has failed regarding the Rohingya crisis and whether the EU’s effort to support the peace process in Myanmar has been beneficial. A timely and important contribution to the growing literature on EU’s role in the world and its relations with East and Southeast Asia, this book will be of interest to academics in the field of International Relations, European politics and foreign policy, Comparative Regionalism, East Asian and Southeast Asian Studies. Ludovica Marchi is Visiting Fellow at the Centre for International Studies in the Department of International Relations at the London School of Economics and Political Science, UK.